How do you launch a modern wine from a heritage winemaker? Following successful campaigns with Accolade Wines' brands, Petaluma and Croser, St Hallett tasked Hybrid with the launch of their new range, Blockhead. As a premium Barossa wine, aimed at opening up St Hallett to a younger demographic, Blockhead had to be well positioned in a crowded market. Before talking to consumers, retailers had to buy into the new brand’s potential and the campaign behind it. 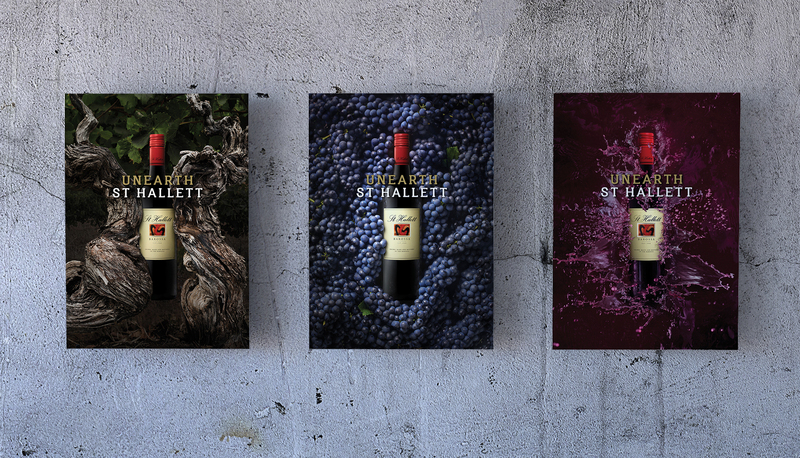 The wine label was seen as doing a lot of the initial positioning work for the new brand – it had the St Hallett name behind it, but was something different and interesting from this well-established wine maker. Therefore, the bottle became a core element of the campaign, creating a key visual for engaging video content, which underlined its premium positioning. This was pushed through a digital plan, social media and brand activation tastings – so consumers were left with more than a sense of the wine’s quality, they knew exactly how good it was. The campaign strategy ensured the three varietals were ranged in all major retailers by the start of 2019. The early stages of the social campaign drew strong reach and engagement, based on the quality of the content and our test-and-learn approach to maximising the social media budget. Through our activation concept, hundreds of CBD workers, identified as a key audience for the product, sampled the wines through in-office tastings, taking the flavour of the Barossa across the country.